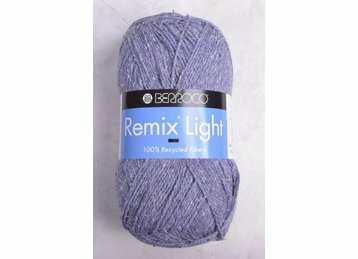 Spun in France from 100% recycled fibers, Remix Light knits into a t-shirt soft fabric that also benefits the environment! Light & tweedy, the yarn is equally at home being knit into an all season sweater as it is a shawl or drapey scarf. The palette of natural tones are universally flattering.